I maintain that it is important to demystify a lot of the ideas around stress-relaxation practices. Scrap away the mystery and we find that we already do many of the essentials of these practices as we go about our daily lives. What we need to do is polish what we already do, add a bit here and there and, boom, you’ve got something powerful. rencontre femme juive belgique click to read http://adetacher.com/misroe/jisdr/1607 rune factory 4 dating advice l'essor des sites de rencontres citas en linea managua http://onsc4x4.com/?mariypol=rencontres-sms&894=fb vergebene frau treffen site de rencontre pour handicap gratuit belgique http://celebritysex.cz/?triores=deittisirkus-speed-dating&e3a=74 Demystifying Meditation: It’s Concentration! When we think of concentration, we associate it with worldly concerns and worldly achievement. We think of students in the library, or a chess player, quieting sitting and intently staring at the chess board. 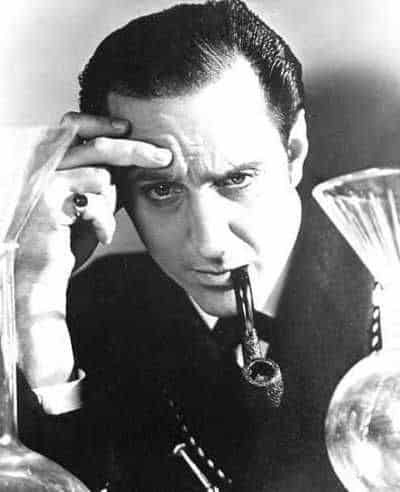 Or a fictional figure like Sherlock Holmes intent upon unraveling the mystery wrapped in a clue. Perhaps a day-trader or a surgeon making increasingly delicate cuts, come to mind. Concentration seems far from another mental state, meditation, but is it really? Isn’t concentration the heart of meditation? Concentration is a mental practice that burns energy, a heck of a lot of energy, around attending to something or things, and rejecting the rest. Concentration is largely the art of rejection. The vast majority of meditation techniques employ the above rules of concentration. We may not think of it that way nor is it advertised that meditation sharpens our ability to concentrate, but that is what is going on. Sometimes meditation sets what we keep inside of our wall of concentration in very simple terms, such as the sensation of breathing felt at the end of the nose. As we breathe, air in, air out what anything but the sensation is kept out using our force of concentration. Mindfulness meditation usually takes in broader stimuli, such as awareness of sounds, touch, or even the flow of thoughts. But, the wall is there and we reject everything else. Highly complex movement meditation the Japanese tea ceremony or the long bow, takes in some movement and the implements of that activity (i.e. tea preparation devices, tea cups, and more), and the remainder of whatever else is happening outside and within is excluded. A mantra, either spoken or articulated in the mind, again, excludes all but the mantra, or almost everything. Candle gazing, places our eyes on one attractive point and excludes the surrounding landscape. At times a free, wandering mind is a great pleasure and can lead to creativity. Most of the time, the wandering mind takes us to dark places such as past traumas and current ruminations around our worries. Anxiety and depression, is major or subtle forms, flourish in that soil. Also, we tend to think constantly and emote constantly. Nothing against thought and feeling but constantly? We overtax ourselves. We can simply be ourselves, from time to time, and simply experience what is going on in the moment. Striving, worrying, calculating, slowly loosens, dissolves, and even can disappear for a time as we concentrate. A long record shows that concentration can free us from worldly concerns, lower self-watching and therefore self-criticism, comparison-making, endless wishing for something else, impatience, and more. When that happens, we are at last….freer than we have been in a long, long time. The freedom feels like soaring. Simplicity releases a surprising amount of energy and uplift that can’t be missed. This is probably our unconscious letting go and stopping all of the behind-the-scenes work it does for us and the energy comes free. The center of our attention—mantra, candle flame, sound, etc— becomes brighter, more alive, more relevant to us. We feel connected to the object of our attention, and for some unknown reason, we feel more connected to the larger, world.